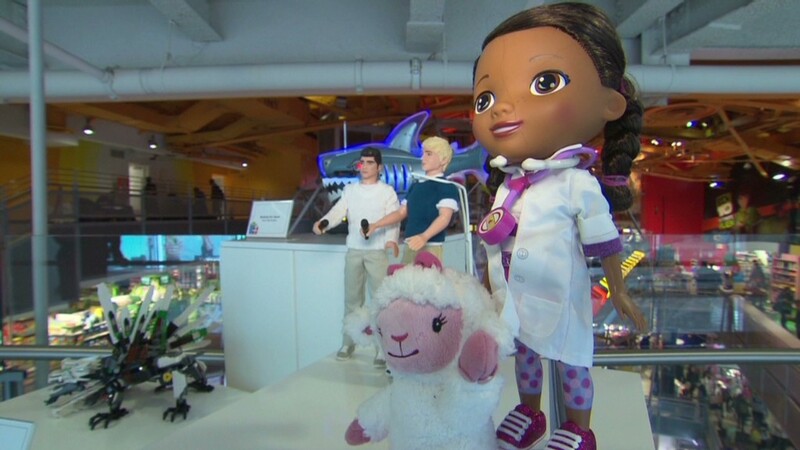 With tablets, 3-D games and dolls that talk back, toys have changed. And so has the toy business. That's why Toys R Us CEO Jerry Storch's sights are set on digital to move his company forward. "We've seen dramatic growth on the Internet and in our whole omni-channel model ... and we see this as the greatest growth avenue ahead for the company," Storch said. That future, apparently, starts now. Already this year, Toys R Us has moved aggressively to push its mobile and online ventures to the forefront. The retailer has launched a handful of online-focused initiatives since September, aimed at combating competition from big-box retailers and e-commerce giants that offer low prices and convenience with the click of a mouse. Earlier this fall, the retailer rolled out toysrusmovies.com, a new digital service for users to stream and download movies and television shows geared toward children. With this move, Toys R Us is stepping into a crowded arena of competitors that includes Netflix Inc (NFLX), Wal-Mart (WMT), Amazon (AMZN) and Apple (AAPL). While all of these retailers are growing their online video presence, Toys R Us is hoping to set itself apart by being the only service to stream content geared toward children. Toys R Us also unveiled a kid-friendly tablet this fall. The Tabeo, which features a 7-inch screen and a Wi-Fi connection, retails for $149.99 and comes pre-loaded with 50 child-friendly apps. An additional 7,000 free apps are available to download. While the Tabeo is meant for kids, Storch says he uses his to play Angry Birds and surf the web all the time. Its size could put it up against Apple's 7.9-inch iPad mini, Amazon's Kindle Fire and Google' (GOOG) Nexus 7. Apart from trying to keep up with digital product development, Toys R Us is gunning to be known for its consistently low prices, much like Wal-Mart and Amazon. That's why the retailer began matching prices this year, a play for shoppers that Target (TGT) and Best Buy (BBY) have also made. The store also followed retailers like Kmart and Wal-Mart to allow free layaway plans, where customers can reserve a toy online or in stores and pay it off over time. Storch hopes that the aggressive digital strategy will capture kids who would rather play video games than the traditional board games Toys R Us relied on for decades. At the same time, he wants to appeal to savvy parents who are used to hunting online for the deepest deals and best service. It's a strategy that's paid off. Storch said the store's Internet and mobile sales have grown tremendously this year. And he's also seeing more customers turn to mobile devices to check for hot toys and deals, since the free Toys R Us app lets customers scan bar codes in Toys R Us stores to compare prices, read reviews and watch videos of toys in action. "Customers are using [smartphones] very heavily to interact with our brand," he said. "We want to make sure our products and our service are available everywhere and we've seen a tremendous customer response."